‘BOONIE’ - as cricketing fans across the globe affectionately know him - is a cricketing legend of the late eighties and early nineties. A right handed run machine opening batsman with lightning reflexes in at short leg, Boonie was never one to take a backward step when the going was tough. Now an ICC Elite Official; a former Cricket Australia selector, head of Cricket Department at Tasmanian cricket and a talking plastic doll icon for VB, David’s dry wit and clever repertoire keep audiences mesmerized and looking back fondly on an era full of characters in the sport of cricket. 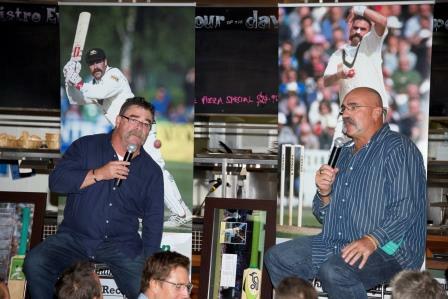 Boonie , who still heavily influences Australian cricket today, and who also holds the record for being heavily under the influence on a flight from Australia to London, is a must see speaker – engrossing, motivational and hilarious.